Another rare indie rap CD. 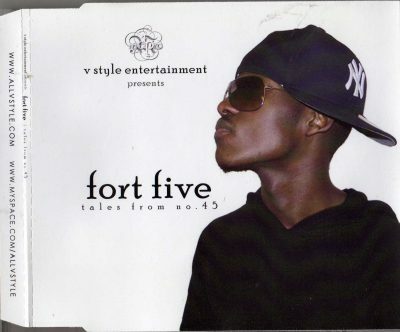 This time it’s an album promo by Fort Five, a rapper from South London. I could not find any info about this artist and a tracklist for this one. So here you go 25 untitled tracks which most likely are song snippets and freestyles for his album that remains shelved until this day. 1 comment "Fort Five – Tales From No. 45 (2006) (CD) (FLAC + 320 kbps)"